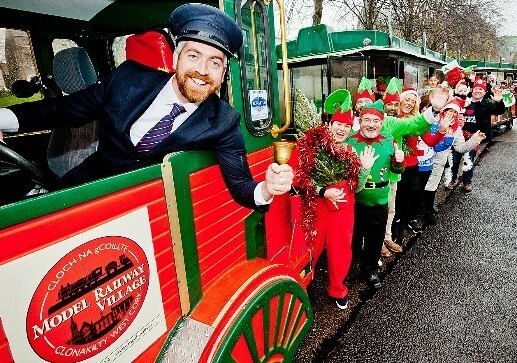 Clonakilty Chamber of Commerce and the Model Railway Village have again launched the Clonakilty Christmas Express for the 14th, 15th & 16th December, with the magical train journey as the highlight of the town’s festivities. Visitors will again meet Mr Potts the friendly train Conductor and have their free train tickets stamped. On a journey through the streets of Clonakilty some of Santa's elves will also be on board the train singing Christmas songs along the way. 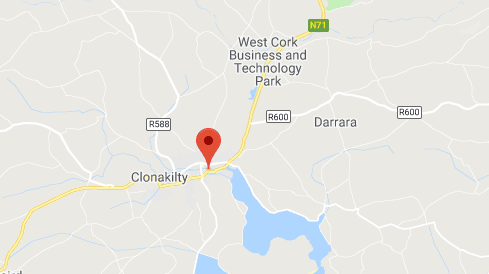 For the final part of the journey, the Clonakilty Christmas Express will stop off at the North Pole Cottage at the Elf Village where Mrs Claus herself will tell stories of Christmas Long Ago. Santa's elves will be on hand to show Santa's workshop with loads of little treats for our Christmas visitors. The nights end with a Christmas dance on Christmas Square under the Magic Chestnut Tree. The festive celebrations will be courtesy of Clonakilty Chamber of Commerce and the Model Railway Village.